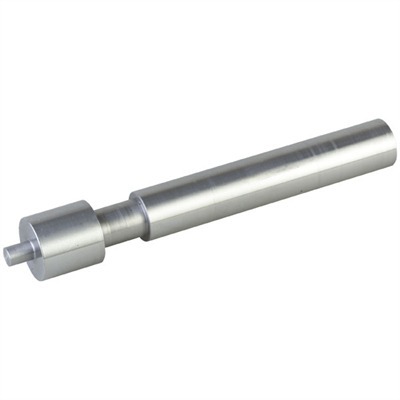 Cold-rolled steel lapping tool chucks into a 3/8" hand drill to easily “square” the upper receiver face on your AR-15. Helps ensure precise mating of barrel and receiver for added accuracy. Coat face of receiver with aluminum-oxide lapping compound; extra long pilot slides into the bolt carrier tunnel to maintain perfect concentricity with the receiver. SPECS: Cold-rolled steel, in the white. 8¼" (21cm) long, 3/8" (9.5mm) diameter shank.